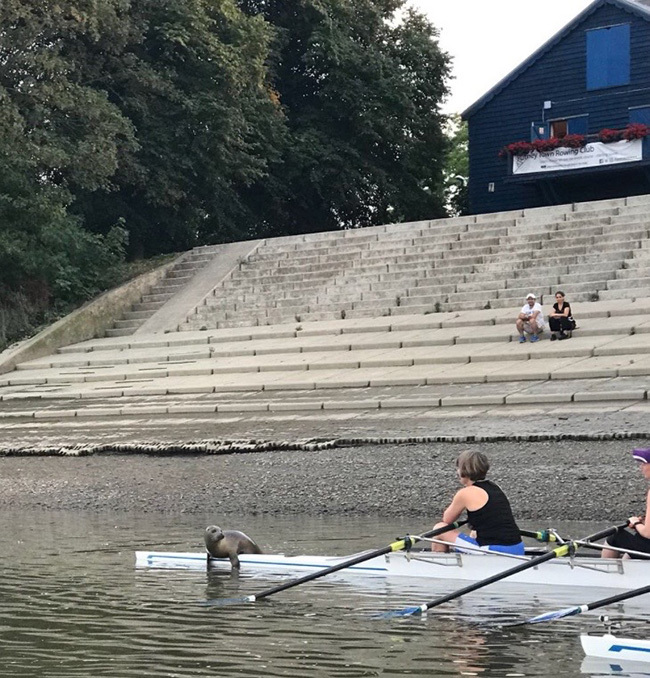 On 23 August, a quad from Barnes Bridge Ladies Rowing Club picked up a passenger outside the Putney Town boathouse, just upstream of Chiswick Bridge on the River Thames. Picture: @BBLRC. 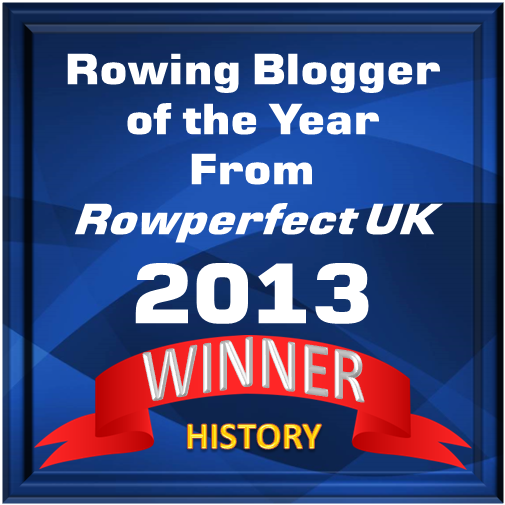 Tim Koch finds that rowers are not the only semiaquatic mammals to be found on the Thames. 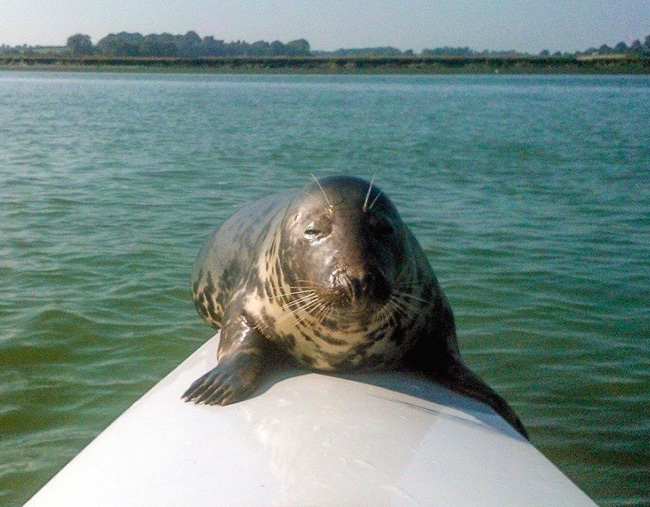 With cleaner waters, we are fortunate to welcome more marine mammals to the Thames. 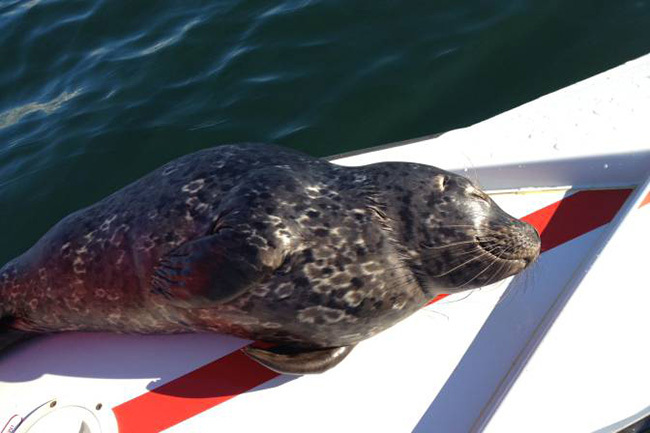 Marine mammals that visit the Thames regularly are grey seals, harbour seals and porpoises. Less regularly we see dolphins and whales. If you spot a marine mammal in the upper reaches of the tidal Thames or you see a marine mammal that you think is in distress, please contact Vessel Traffic Services on 0208 855 0315. They will direct craft to investigate and to take appropriate action if necessary. Barnes Bridge Ladies with their newest member (assuming it is a female). 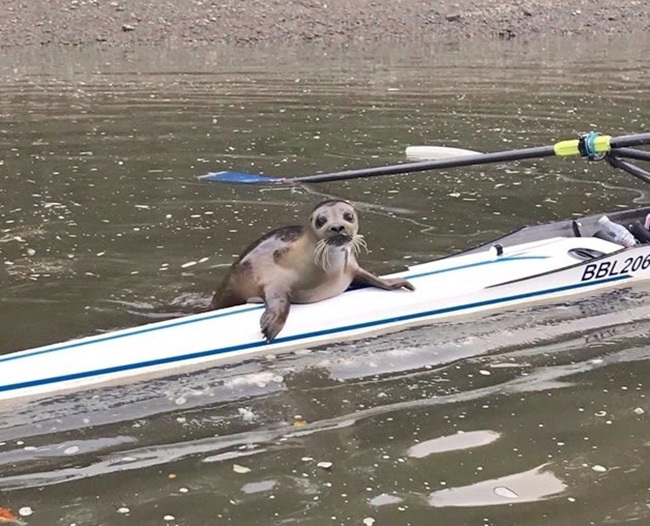 A quick search of the Internet found that seals hitching a ride on rowing and other boats are a not uncommon occurrence. Looking cool, Whitecliff Bay, the Isle of Wight. Acting as a very effective bow ball, the River Orwell, Suffolk. Aboard a Vancouver Rowing Club four, Coal Harbour, Vancouver Island.